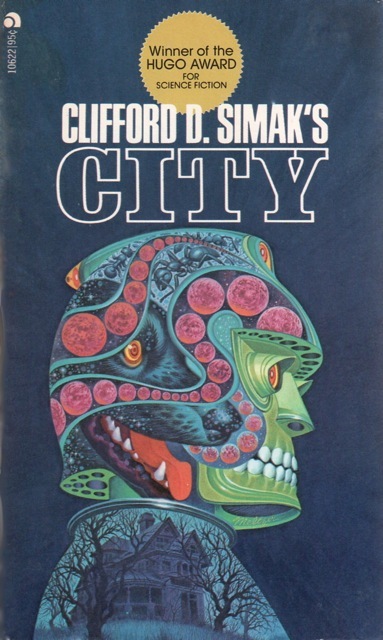 Here is Part II of my sequence on SF and Skulls (morbid I know): Part I. 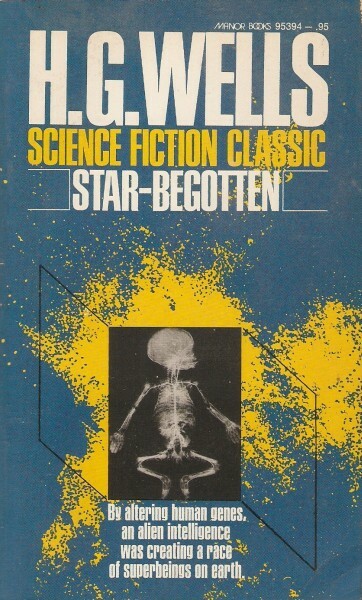 We have a range of skeletal curios—from Charles Moll’s deconstructed representation of an astronaut in mental and physical decay to Patrick Woodroffe’s heart + skull renegade taxidermy-esque construction arrayed against a joyous psychedelic (blotter paper swirls?) background. 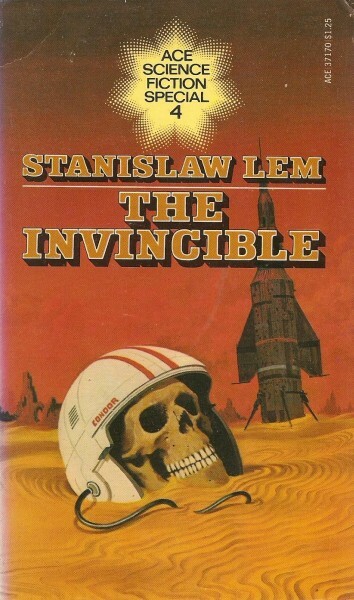 I plan on a Part III so if you know of any other skull art on pre-1980s covers let me know. 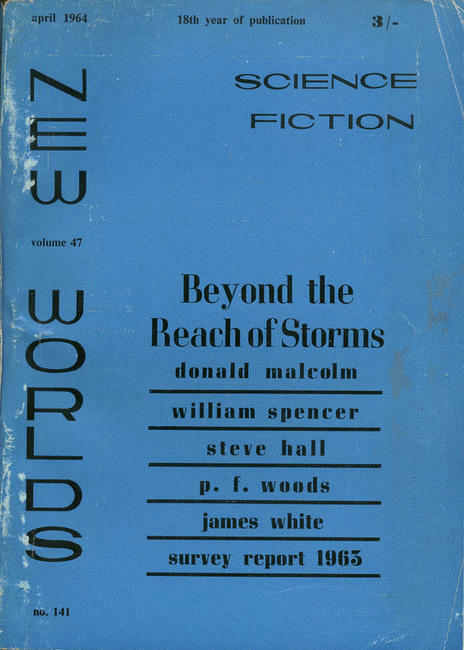 I know there are more Astounding magazine covers but I don’t own copies and have trouble finding high resolution images online. 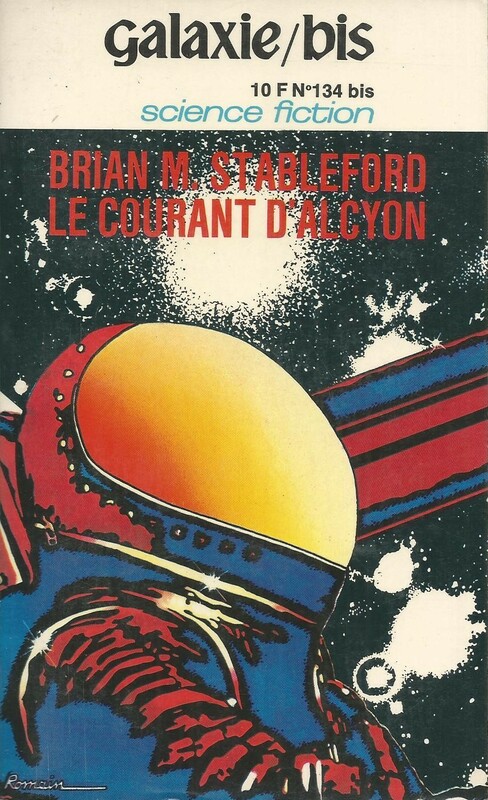 Drawn to Four for the Future and The Falling Astronauts, but there’s a number of others I wouldn’t mind owning! 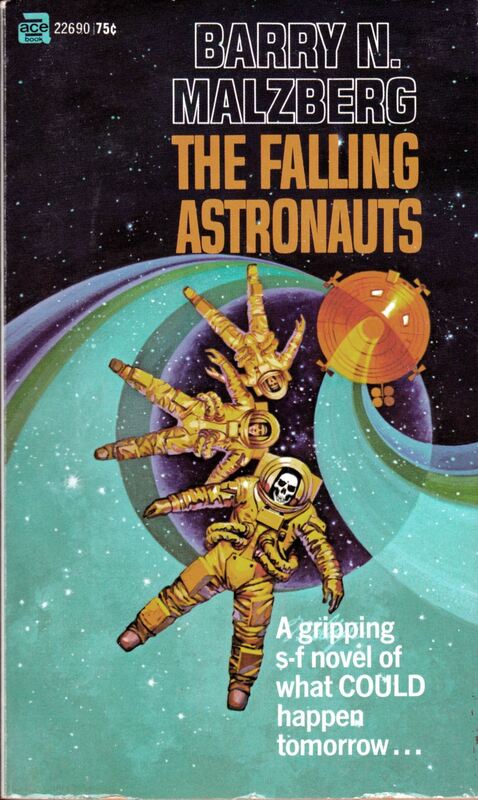 The Falling Astronauts cover perfectly embodies the feel of the novel. 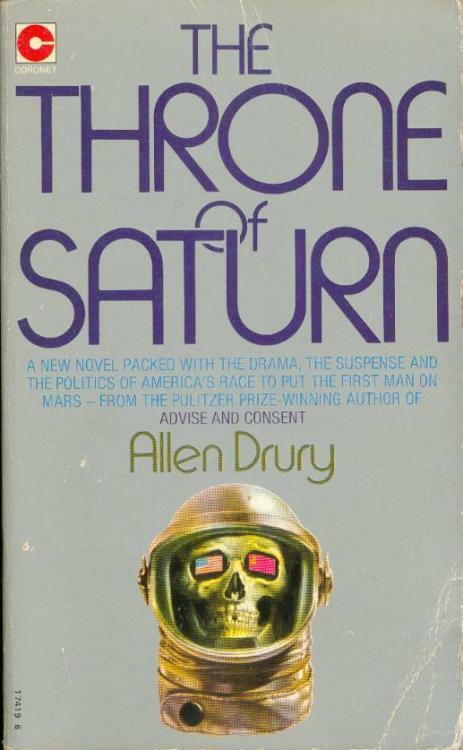 The deconstruction of the “heroic” astronaut who returns home most likely insane. But yeah, I wouldn’t mind the first one as well. Thanks for the link! 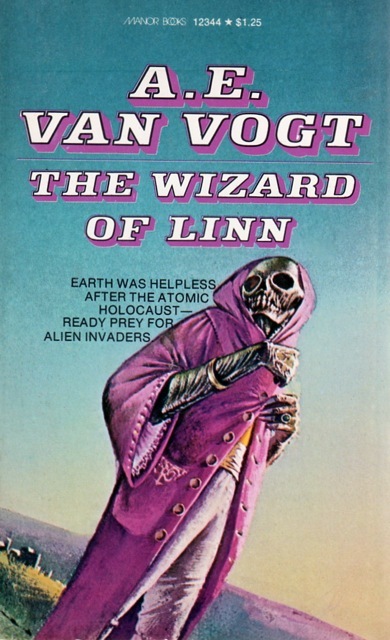 Wish I could find more 30s-70s covers…. Know of any? 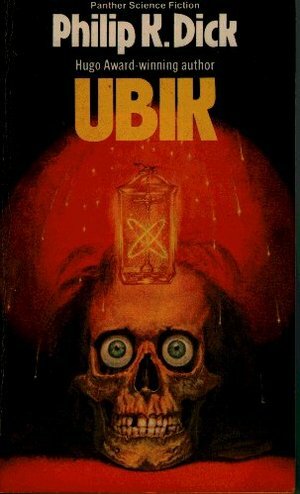 I’ve not seen this Ubik cover. Thanks. 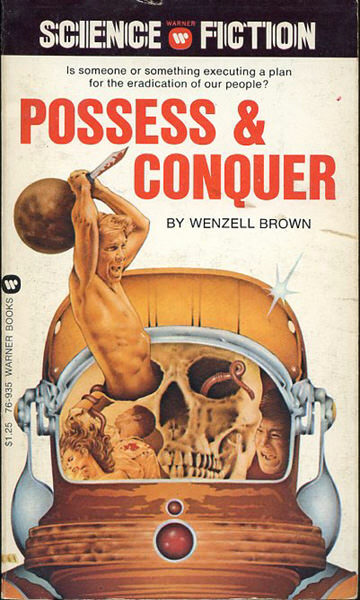 Great post Joachim, I have several of these titles already being a fellow skull enthusiast. 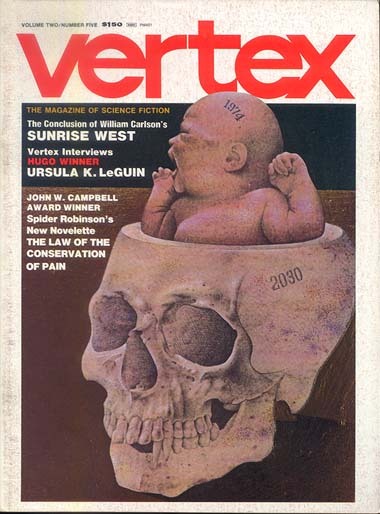 I have to say that the cover to Vertex is really something else, a tremendous piece. Thanks. Unfortunately, the artist of the Vertex cover, Acuna, only has a handful of other covers listed on ISFDB… I agree, I really enjoy that one. Especially the texture of the bone. Shame about that, I’d like to see more by them. It looks like a fun magazine. It folded really quickly though. 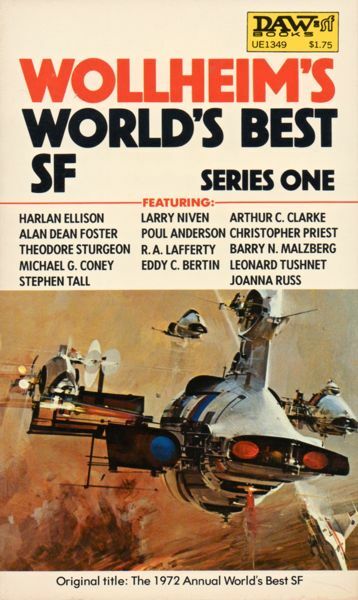 Clute claims it was the best of the early 70s. Perhaps you could collect all the issues! It would be more intellectually stimulating than Fanthorpe and Badger books — muahhahaha! Easy now…. I like my Badger fluff. I do like my weekend Badger fix though. “The exact number of books Fanthorpe wrote for Badger Books is not known, but is estimated to be in excess of 180, 89 of which were written in a 3-year period – an average of a 158 page book every 12 days” — it boggles the mind…. There’s even a site online devoted to reviewing all his Badger books. He was certainly a prolific writer and no mistake. No problem! 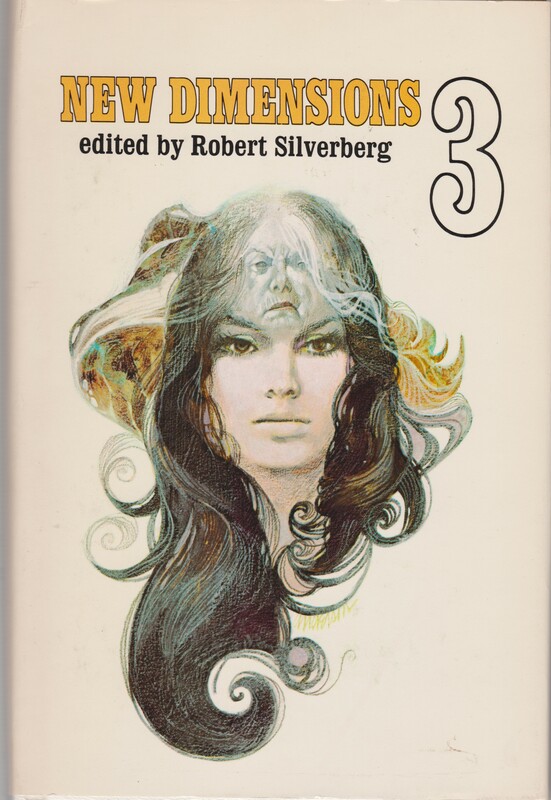 I really enjoyed Bob Pepper’s cover for the Ellison collection. 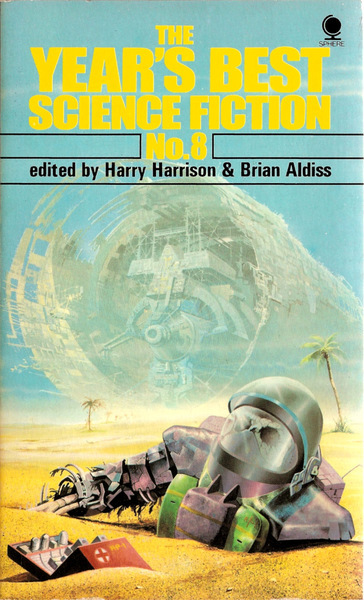 I also enjoy Ellison’s work so I desperately want to own that edition. 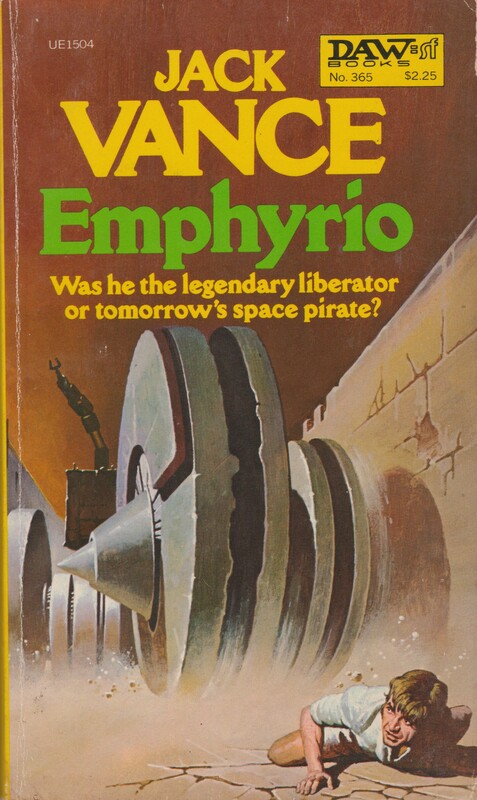 Bruce Pennington I think,nearly always stands out from the rest.I think your favorite,Paul Lehr,might make him pale in comparison,I don’t know.One or two of the uncredited ones,aren’t bad though. 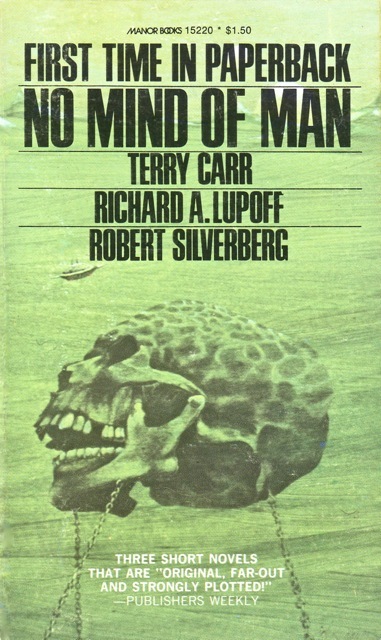 I hope you read the “Book of Skulls” by Bob Silverberg.With your mild skull fetish,I thought it would be a natural choice.It was published the same year as his “Dying Inside”,but is less intensely mainstream,with instead an esoteric prose flavor and purpose,which is both chilling and charming. Lehr, my favorite? You are mistaken my friend. 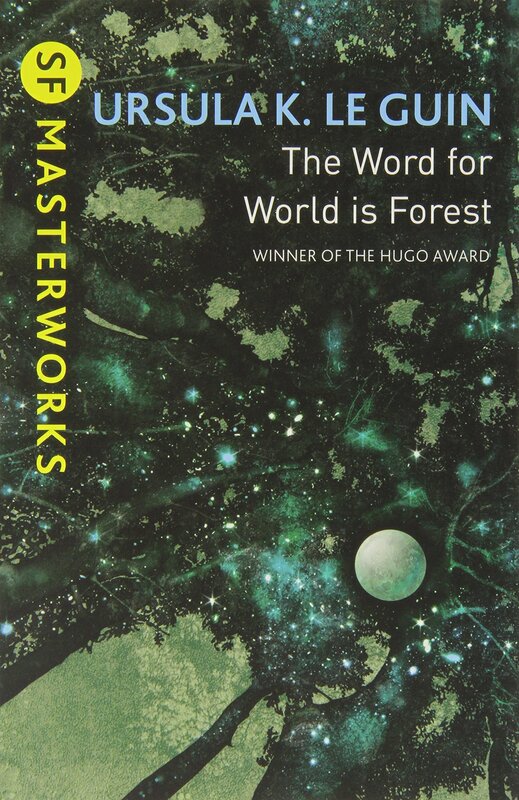 I much prefer Richard Powers work. Which outshines anything Pennington produced. 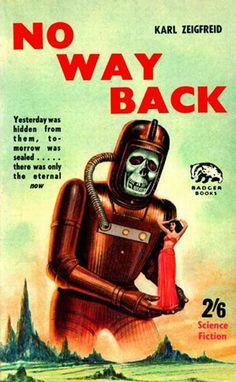 I don’t think I have a skull fetish… ’tis just a thematic group that popped out at my while going through my image collection. 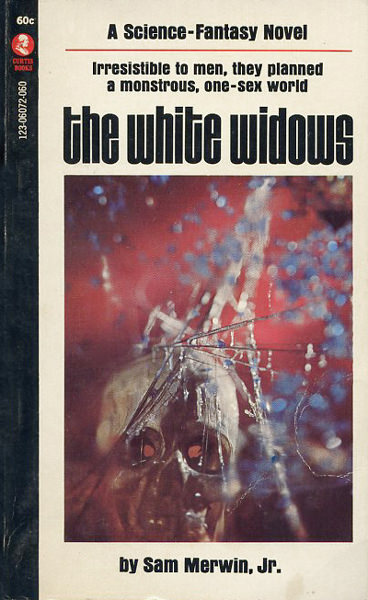 I do not own a copy of Book of Skulls yet—I’ve read almost everything he wrote in the late 60s/70s other than that one, A Time of Changes, and The Tower of Glass. I did enjoy Dying Inside. I remember you put Powers stuff on….I’ll have to see it again.I checked,and nothing by him on this post. I know you don’t really have a skull fetish,but it is a motif you seem to enjoy. 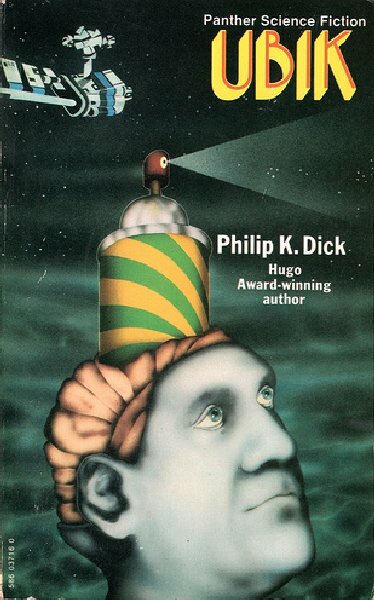 Haven’t read “The Tower of Glass”,but ATOC is long and languid I think,although finely written.DI as I remember,was an immensely readable and mesmerising piece of speculative fiction.Did you find it too mainstream and unpleasant? Because Powers is so surreal he doesn’t always fit in these more straight forward thematic posts. 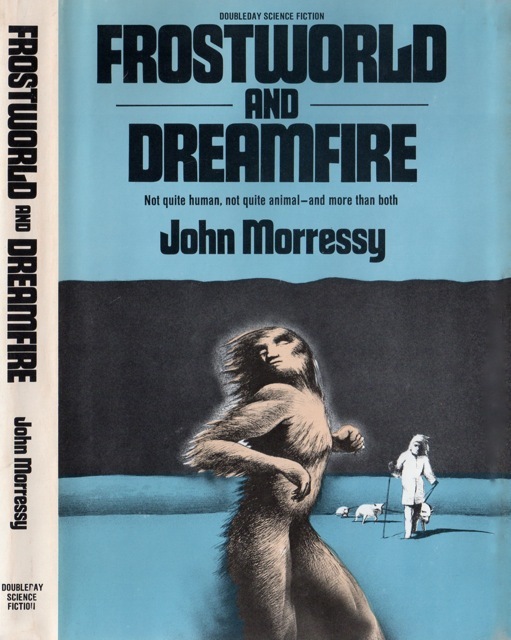 But, I’ve gone through every cover image I can find online of his and adore most of them. And of course generally buy books in used book stores with his covers on sight. No, I did not find Dying Inside “unpleasant.” As for “mainstream”, that certainly doesn’t put me off if it’s well written etc. I did a brief feature on David Pelham a while back. I enjoy how your post emphasizes his work as a unified group—the thematic triptychs etc. I most appreciate his work as a unified corpus. Taken individually I tend to be ambivalent towards them. 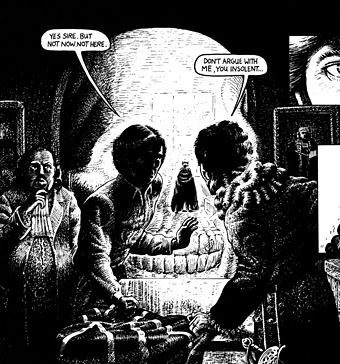 I think the Clockwork Orange and Ballard covers are great works of pop-art in themselves but the detail in Tiger! Tiger! is astonishing. I have all those books. 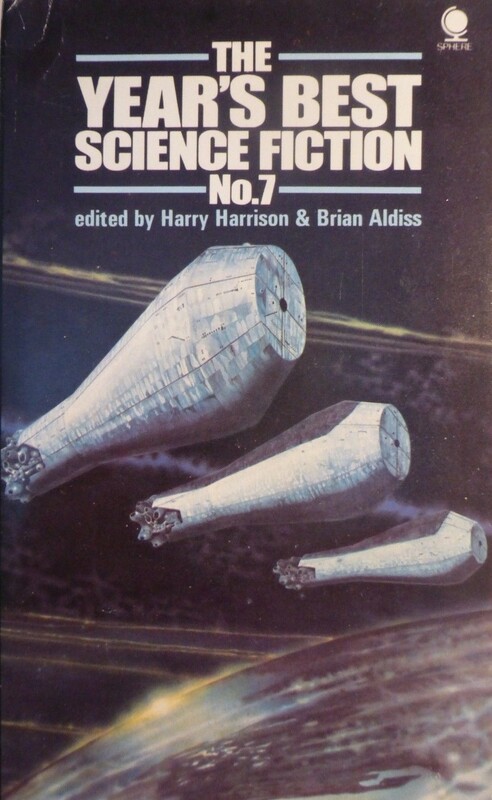 The Ballard box set cost me £2 in a secondhand bookshop in Liverpool, circa 1988. 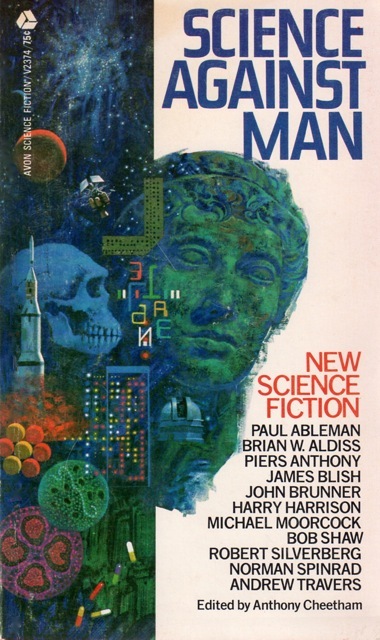 That David Pelham was really something else……very unusual,stylized and merticulous work.I once owned a copy of that same Philip J. Farmer “Night of Light”. 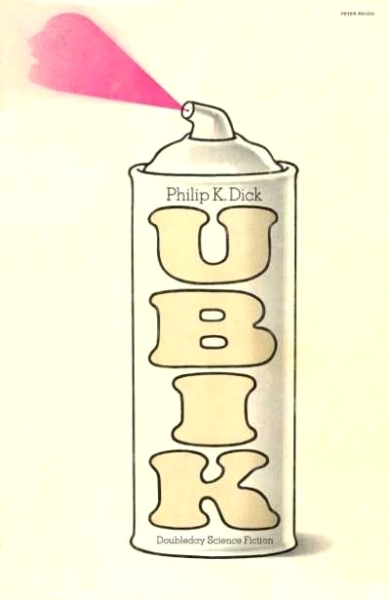 The “Ubik” cover,was on the first British paperback edition in 1973,and was still adorning it in 1984 when I bought my first copy of it. 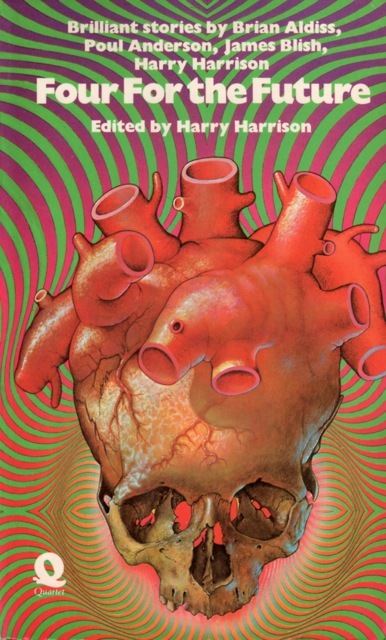 I have the utterly banal first edition hardback cover… Blargh. Yes,but it’s comical though.Think it suits the mood of the book. 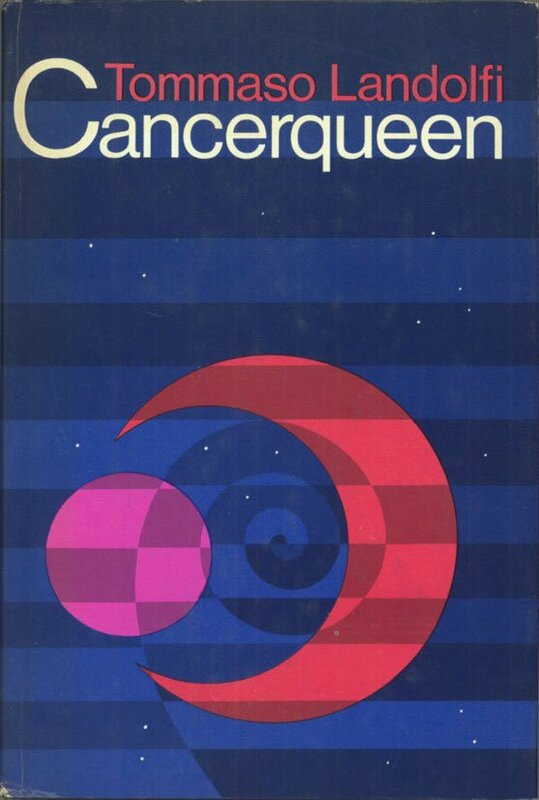 And probably worth some money… Although my copy is not in the best condition. 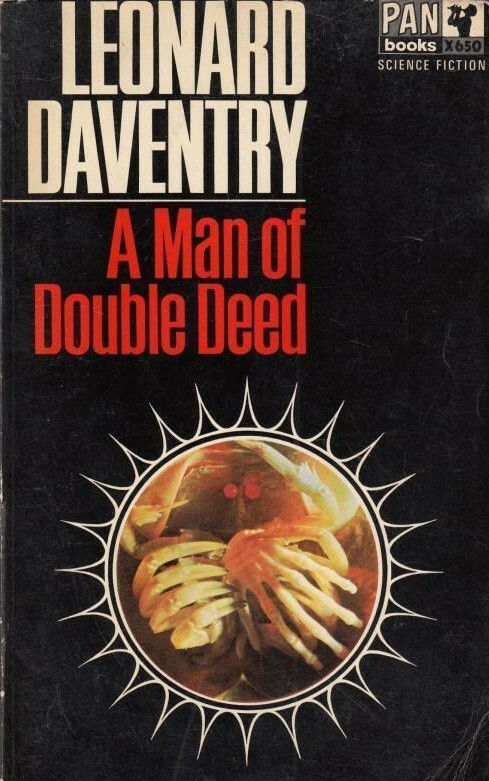 Hmm, this seems to be the first British paperback edition (1973) according to ISFDB. There could be an error. 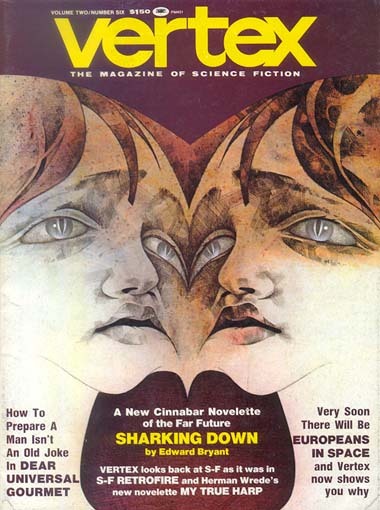 I’ve seen this cover before online.I think you’re right,unless in the unlikely occurrence,there was two different ones the same year.The first in that case,would have been in 1978,but sure it was around before that. Me too. I’ve never heard of the author either. Very cool post. 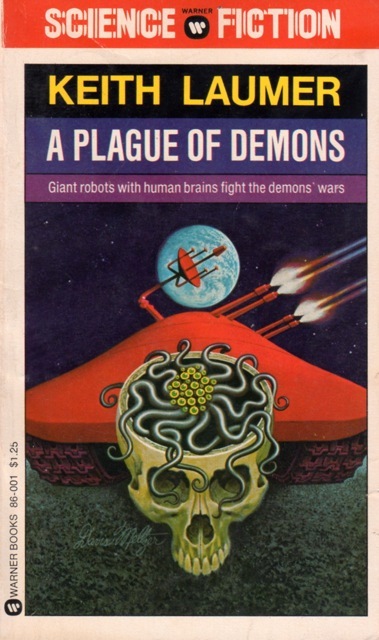 I think my favorite is A Plague of Demons. 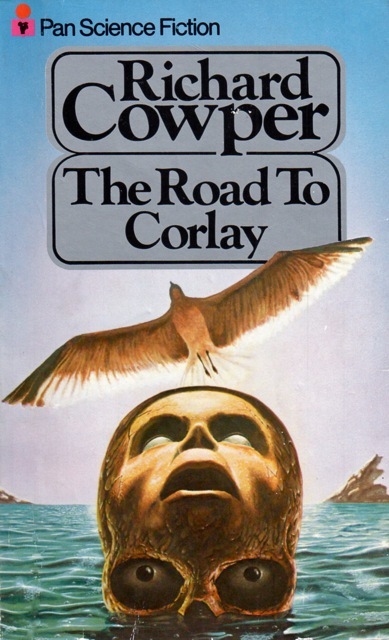 Patrick Woodroffe had a reputation similar to Pennington I think among British cover artists,and could probably outshine him sometimes,but were very different artists. When I was a teen art student, almost 40 years ago, I drew a version of that Van Dongen cover. My college attending hippie cousin had it on his dorm wall for years.